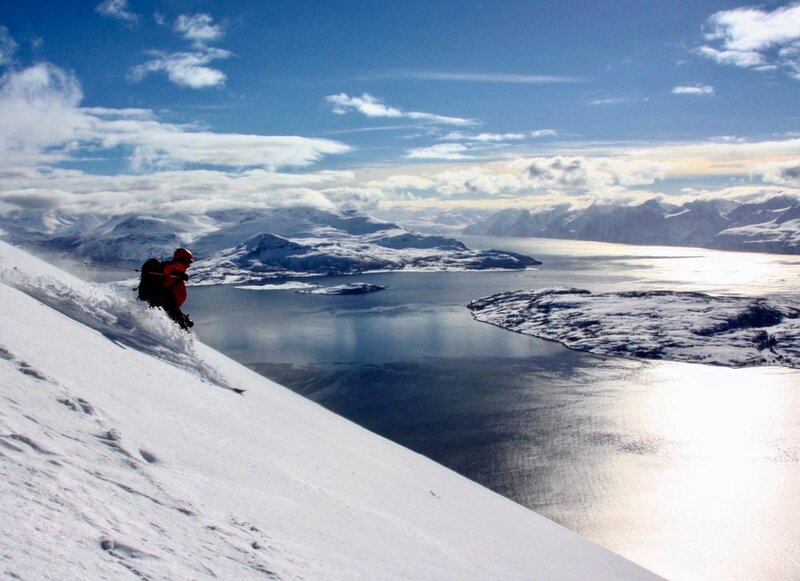 The Lyngen Alps offer one of the best wilderness ski touring and splitboarding scenarios in the world. 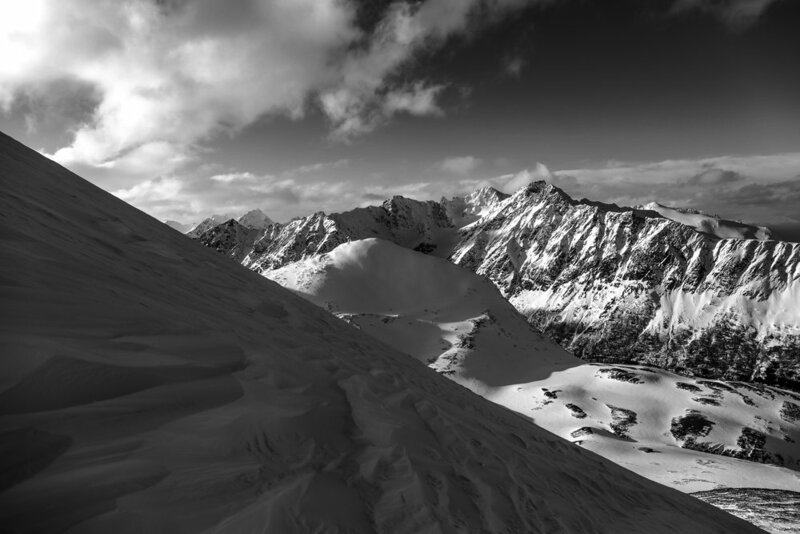 Access peaks with no sign of civilization, untouched mountains covered in powder and scenery that will blow you away as you descend from the summit to the fjord shore. The outstanding terrain and snow quality in this region are breathtaking with infinite opportunities for all skiing abilities. Our professional guides have a lifetime of experience and will lead you through incredible yet safe expeditions. 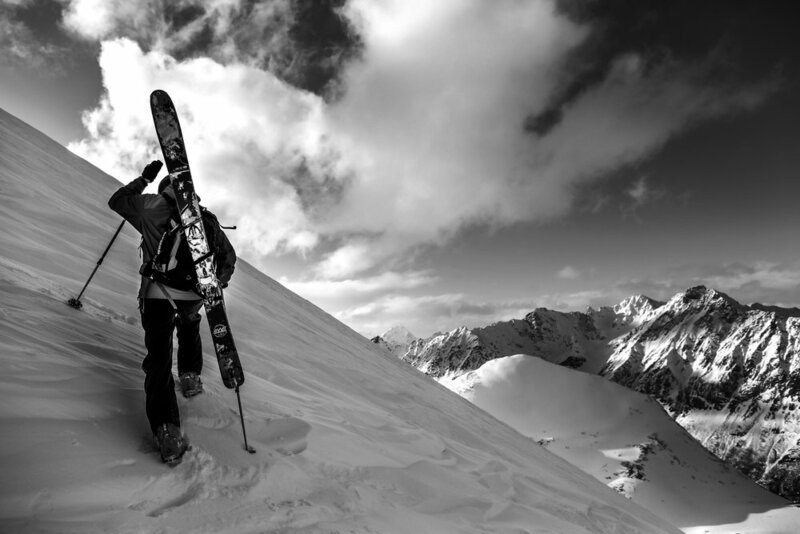 JOIN US FOR YOUR DREAM SKI OR SNOWBOARD ADVENTURE! Due to the nature of the activities, a reasonable physical shape is required. Skiing/snowboard and avalanche equipment is not included in the packages, contact us for renting requests. SKI SEASON: 1st of March to 15th of May depending on snow conditions. Stay at our amazing Lodge and venture yourself in a week of unforgettable memories. 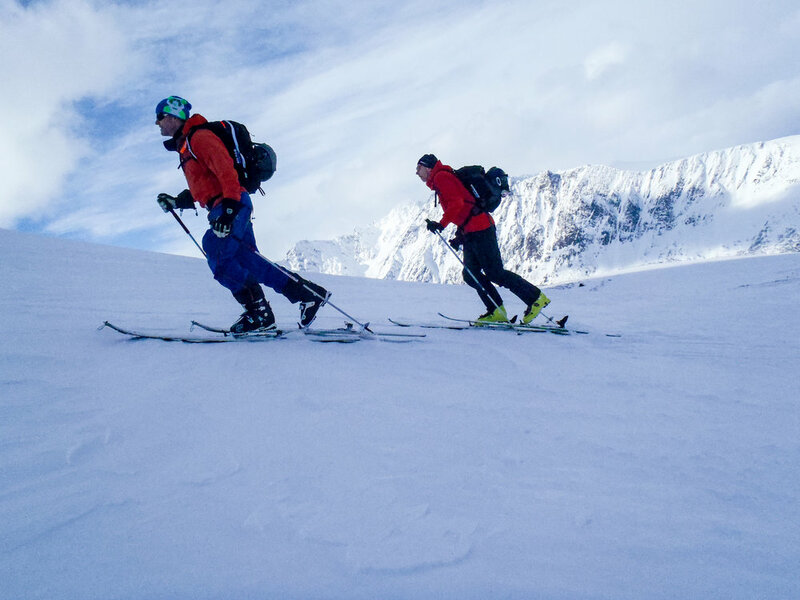 Join us for a five peaks expedition in the Lyngen Alps and experience the unique adventure of reaching a peak only accessible by boat. After a long day, relax in our spa facilities and delight yourself with local made food. 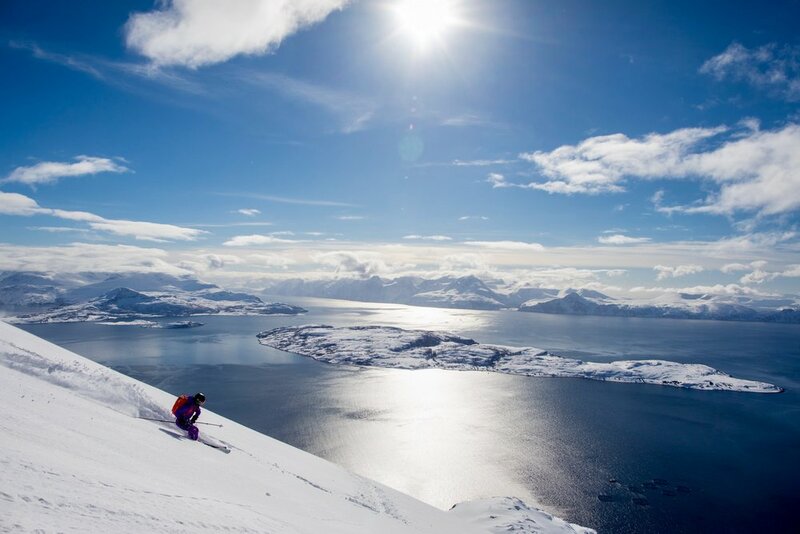 Enjoy a memorable stay in our boutique Lodge and explore the unique Lyngen Alps with our professional guides. Ski in the best mountains of the area plastered with powder snow, including one peak only accessible by boat. After a long day, relax in the spa and relish with amazing local food.